Omaha artist Tim Guthrie has a goal: Make art for the 99 percent. He believes in it so strongly that he’s giving away his art­work all year long. For free. 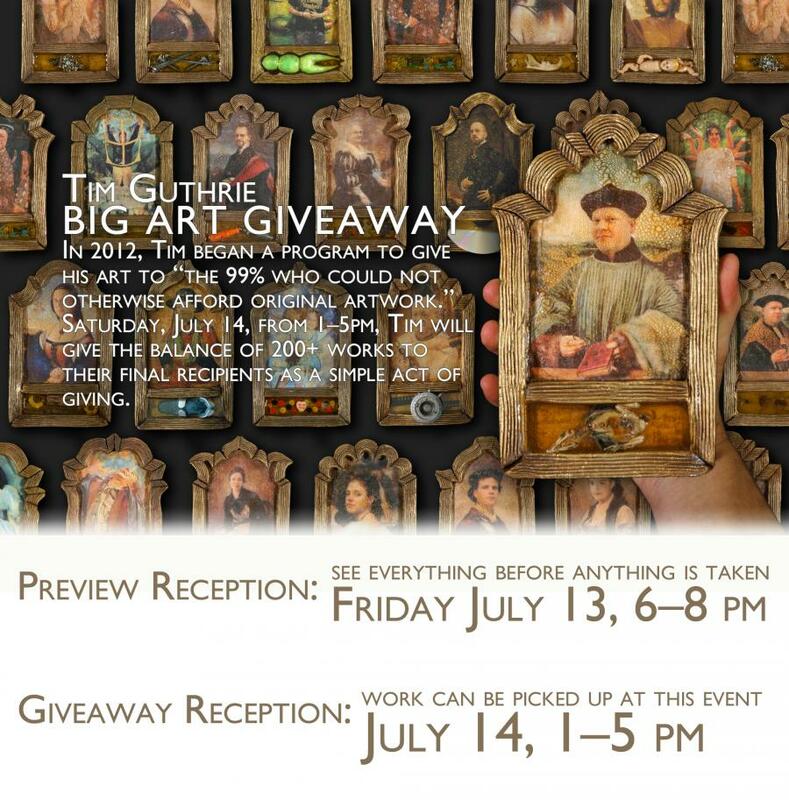 “I am giving away art because I want people I know and like and who have never owned original art to have some in their home,” Guthrie said. Guthrie has had the idea to give away his art for many years, but things got in the way and he never saw it through. Then, when the “99 percent” movement took off, he decided the time was right. Guthrie said lots of his friends have told him they’d like to own a piece of his work. But even his small pieces can cost $50 or $100. He’d donated work to art organizations and auctions that gets resold, but it’s still out of many people’s price range. “I decided to cut out donations and simply give my work to people I know,” he said. He started the project in January with the goal of giving away 366 pieces of art, one for each day in the year.